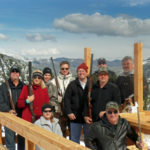 The Silver Bow Club is a family owned, Montana guest ranch boasting 1800 acres and 3½ miles of frontage on the Big Hole River – a Blue Ribbon Trout Stream. 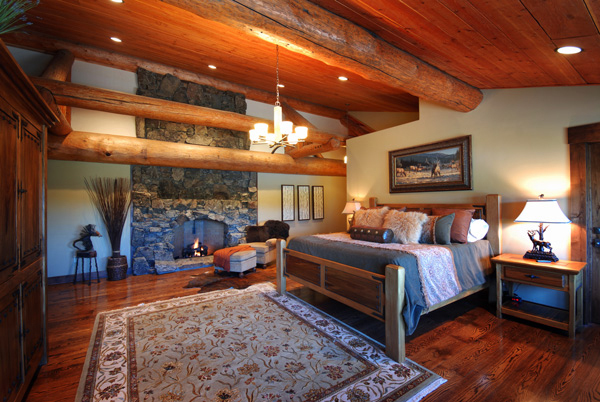 Choose from a luxury master suite, a spacious lodge room or one of our loft style, log cabins. 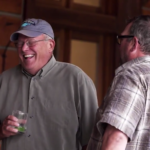 Our all-inclusive, Grand Lodge is ideal for a romantic getaway, a fly fishing adventure or a Montana family vacation. Boasting 8 bedrooms, there is room enough for the entire family or corporate retreat. Gather in great room around the massive, boulder fireplace or around the campfire with views of the trout pond and Big Hole River. Large rainbow trout dimple the pond’s surface while feeding on summer nights. Challenge a friend to a game of pool in the lounge. Soak in the outdoor hot tub, read a book in one of the many sitting areas or visit our greenhouse where we grow fresh vegetables and herbs. 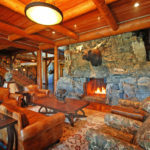 Beautifully decorated, each room or suite has a Montana theme. 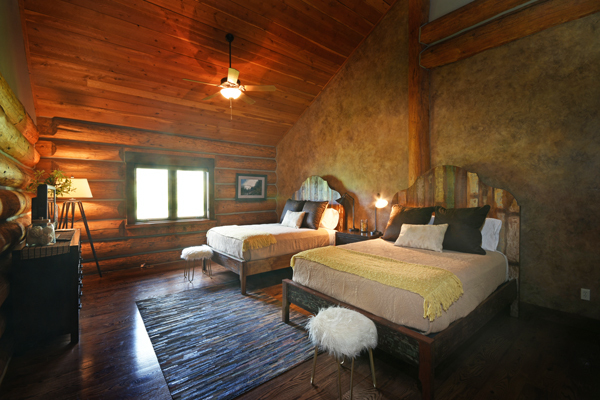 Spacious first floor rooms look out onto the craggy cliffs above the ranch while second-floor Master Suites boast windows that face the hay meadows and tree-lined Big Hole River. 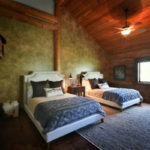 Lodge amenities include wireless internet, premium bedding and linens, satellite televisions, outdoor hot tub, and available golf carts for exploring the ranch. 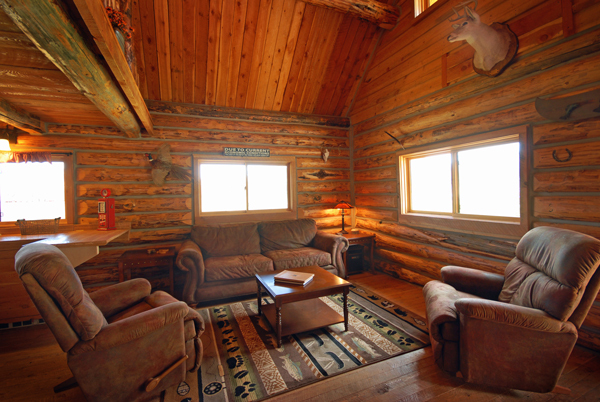 Our two bedroom log cabins are perfect for a couple or a small group of friends. Tastefully furnished and equipped for cooking, the cabins are an affordable way to take advantage of the Silver Bow Club’s 1800 acres and 3½ miles of Big Hole River frontage. These cabins on the river offer WiFi and satellite television. Relax on the porch and taking in the sweeping views of the Big Hole River and the rugged slopes of the Pioneer Mountains. Gather around the campfire and share stories of fishing or the day’s adventure. Join us for dinner in our Grand Lodge, rent a golf cart to access the river, or add any of our activities for an additional fee. Enjoy complimentary use of our ranchland, trout pond, and river access. We offer the best fishing in Southwest Montana. Our 1800 acre ranch gives you exclusive access to 3 ½ miles of the Big Hole River. This Blue Ribbon trout stream is home to Cutthroat, Rainbow, and Brown Trout as well as Arctic Grayling. 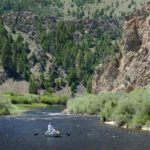 We partner with knowledgeable local outfitters who specialize in fishing the Big Hole River, the Beaverhead, the Ruby, and the Madison River. Our ranch sits along the middle section, Section lll of the Big Hole River; just upstream of Maiden Rock Canyon. Easy to wade in summer, this section seldom has summer closures due to its cooler water temperatures. The river near the ranch is tree-lined and easily accessible via our mile-long golf cart path. Pack a lunch for a day on the stream and enjoy one of two picnic spots along the path. We partner with top fly fishing outfitters. 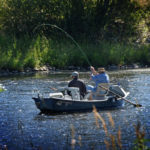 These skilled and locally knowledgeable guides put you into some of Montana’s best fishing action. Come and see why the rivers of Southwest Montana are some of the best in the world. 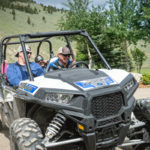 Enjoy the tranquility of the ranch along with the majestic Montana scenery and end each day with either a good book or sitting by the campfire under the stars. 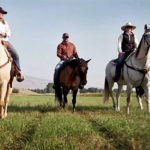 Schedule a day of horseback riding on the ranch or explore the high country on an ATV Tour. Relax after an adventure filled day with a massage in your private suite. Call today and plan a Montana vacation. Six girlfriends had a perfect “girl’s trip” at the Silver Bow Club. We all stayed together in the beautiful lodge, each had our own spacious room and bath. We felt right at home and took advantage of all the areas to “hang out” and relax. The kitchen is definitely decadent and another perfect gathering place. The lodge has spectacular views of the Montana mountains where we observed several stunning sunrises and sunsets. There are several outside porch areas so you don’t miss a single scene. Adam and his staff are wonderful. They made every effort to make our experience pleasurable. Silver Bow Club was an ideal location for our girl’s trip, accommodating and gratifying to each of us. Looking forward to my next adventure at Silver Bow Club!